Create true surround and 3D sound for Dolby Atmos or Auro-3D® 11.1 with the multi-channel impulse responses from Avosound - compatible to Altiverb and TL Space. Using the IR1 Impulse Response Set, you have over 54 sets with impulse responses, including 42 for Auro-3D® 11.1 or Dolby Atmos sound. All 54 sets comprise various configurations and impulse responses for 5.1 surround sound, stereo, quad and mono applications. 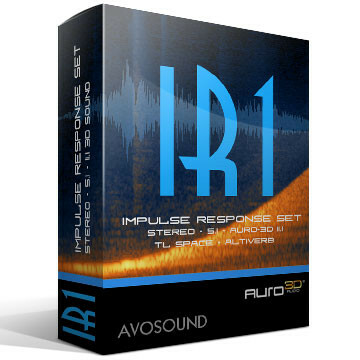 IR1 Impulse Response Set is an Avosound product. "By the way, the impulse responses are very good! 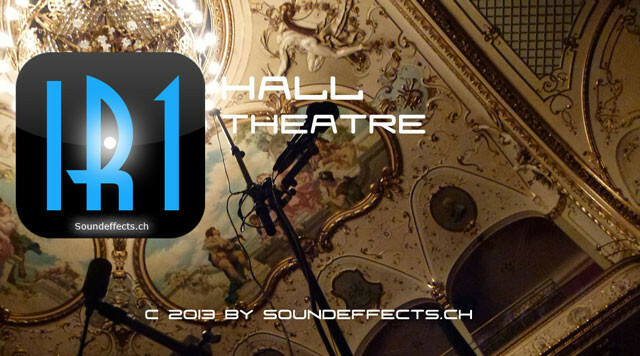 :-)"
The IR1 Impulse Responses Set contains 54 sets of impulse responses, including 22 rooms, 15 halls, 3 staircases, hallways and bathrooms, each with different configurations of the impulse responses for daily use. 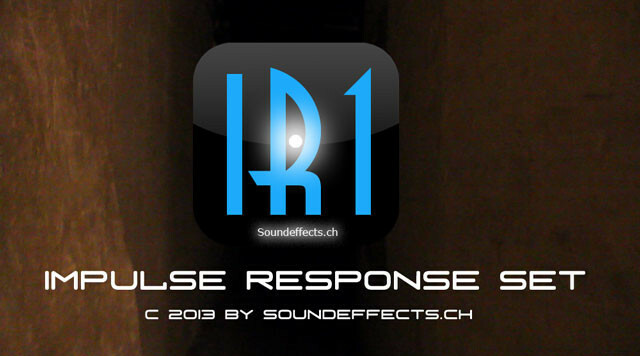 The IR1 Impulse Responses Set thus includes 'normal', traditional rooms of various dimensions. It allows you to add reverb to anything from Hollywood blockbusters (in Auro-3D® 11.1 or Dolby Atmos 3D sound) to games and documentaries, TV shows and radio productions etc. Thanks to the pre-produced configurations of the impulse responses (for Surround, 3D, stereo and mono), the sounds are ready for all popular formats. Add reverb quick and easy! 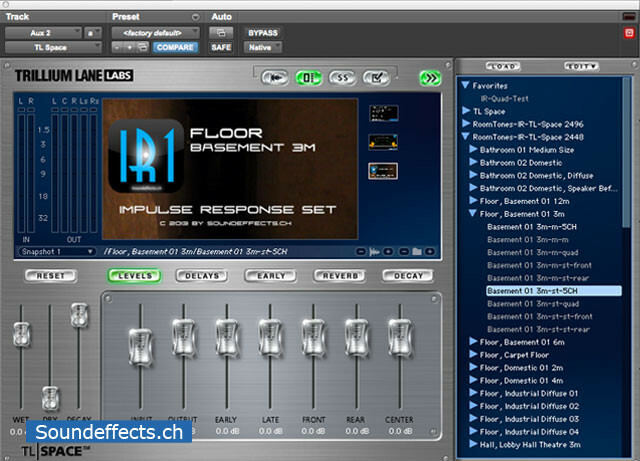 The IR1 impulse Responses Set contains various diffuse impulse responses. Use these elements to move sounds 'outside'. 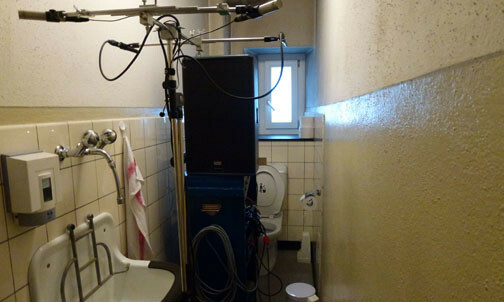 Here's how: create a soundtrack with conventional recorded sound. 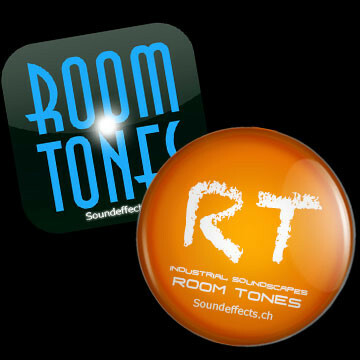 Then send it through a diffuse reverb onto the sum signal and - voilà - there's your room tone. 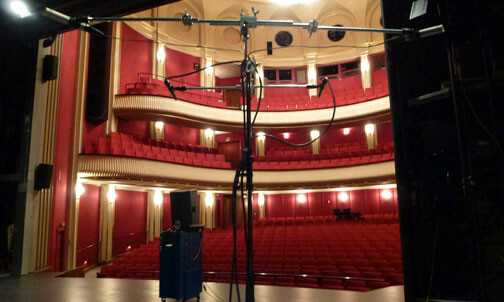 Diffuse reverb is perfect for 'moving' traffic noise from the outside to the inside or for creating noise from neighbours or 'moving' noise to distant areas of a building. 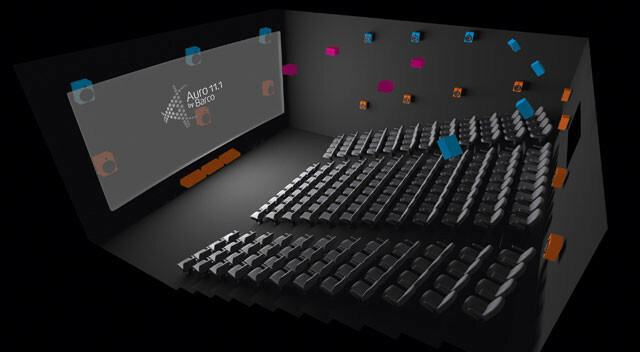 Auro-3D® 11.1 sound contains two sound layers, each with a 5.1, a 5.0 and a Voice of God ceiling channel. 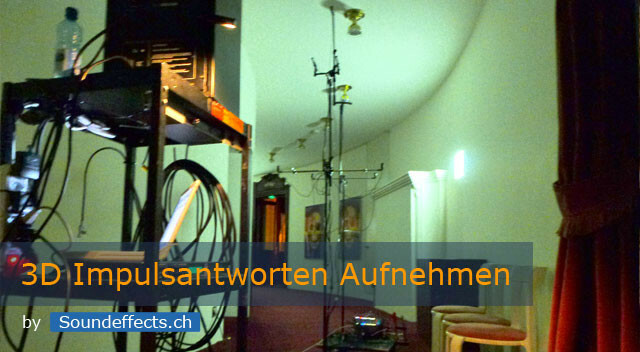 Hence the impulse responses for the playback of 3D sound were recorded simultaneously with 10 audio channels. You do not need a new plugin to play back 3D impulse responses - they can be used in a conventional manner via three reverb plug-ins. Further information about reverb configurations of impulse responses and convolution reverb can be found here in our extensive tutorial on impulse responses and convolution reverb.